One more scientific study saying certain foods cause cancer, causing alarm and confusion in consumers. This time, it is the International Agency for Research on Cancer (IARC), which on Monday said sausages, ham and other processed meats can cause colorectal cancer. The agency, an arm of the World Health Organisation, put processed meat - which includes bacon, and canned meat such as luncheon meat - into its Group 1 category of carcinogens, a group that also includes alcohol, asbestos and tobacco. So, does that mean I will have to give up my lup cheong ( Chinese sausage) from now on? It's not that I do not value my health or that I am such a glutton that I will die for my favourite foods. Rather, one should react sensibly when reading such reports. The report says: "For an individual, the risk of developing colorectal cancer because of their consumption of processed meat remains small, but this risk increases with the amount of meat consumed." What this means is that, as with eating most kinds of food, moderation is okay, and excess is not. And I've always believed that this applies even to food that is supposed to be good for you, including most fruit and vegetables. Unlike a smoker who goes through a pack of cigarettes a day, I do not eat sausages or ham every day, let alone at every meal. 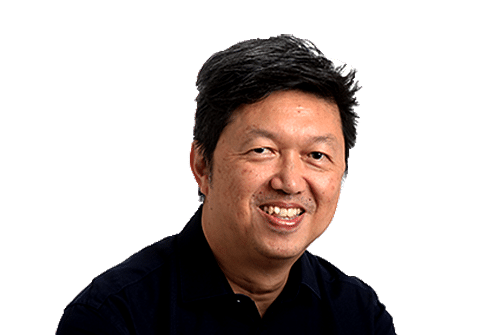 Lup cheong may appear occasionally in my plate of char kway teow or the bowl of claypot rice that I eat during the Chinese New Year season. I don't think I'm going to develop cancer because of that. Neither would I have to worry about the pieces of turkey ham or hot dog sausage that may appear in my plate of Malay nasi goreng. That goes for other foodstuff the agency said can be carcinogenic, including salted fish, and pickled vegetables such as Chinese kiam chye (salted mustard leaves), and pickled Japanese cabbage. I eat these things, but not regularly. At a talk on cancer I attended a few years back, the speaker said refined carbohydrates might cause cancer too. That means the white bread you eat at breakfast. But there's no need to panic, he added. There are many factors that cause cancer, and the food you eat is just one of them. Of course, switching to whole grains is a healthier option, but it doesn't mean that you will get cancer if you don't. Or that you won't get cancer if you do. Similarly, if you have been eating a lot of processed meat regularly, you should perhaps cut down on the amount and frequency. But if, like me, you eat it occasionally - and in moderation as part of a varied diet - there is no reason to stop eating lup cheong.